Fight factions from other servers 1 on 1! 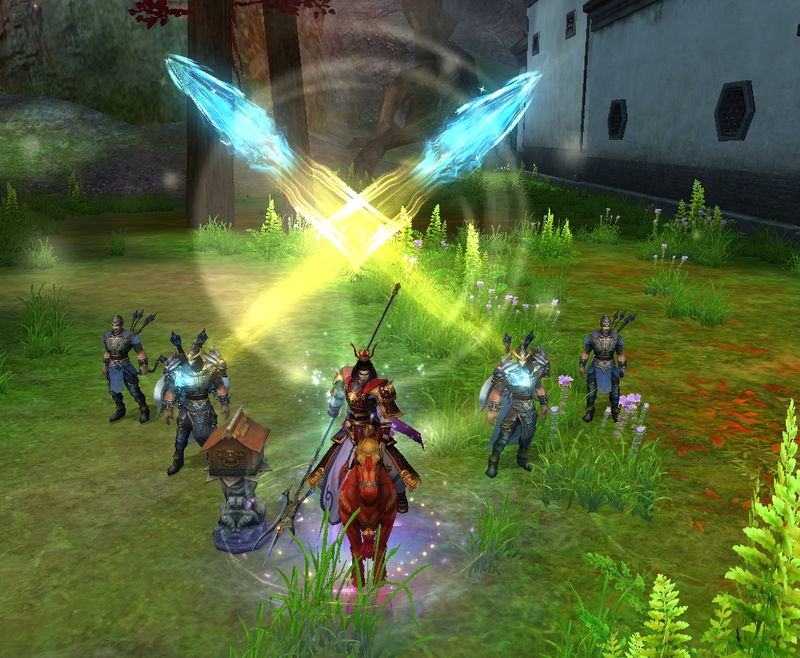 Lv3 Factions can declare battles against the other factions across the server in Dragon Wilds of Wargod Gulch! Who Can Declare Cross Server Battles? Marshal and above! There can only be at most 5 Faction Battles at the same time every day. Each Faction can fight a max of 8 Faction Battles everyday at different time periods. 1. The Faction Leader signs up for Cross-server Faction Battle Declaration. 2. The Factions that battle is declared against can accept or decline the battle. 3. In Cross-server Battle Declaration, factions are unable to invite Allied Factions to join the battle. 4. Marshal or above can refuse Faction Battles. 5. The two Factions that have declared battle against each other can enter the cross-server map: Dragon Wilds through Faction Battle Envoy Zahn half an hour before the battle starts. Where can I find Faction Battle Envoy Zahn? 1. When it is outside your Faction’s scheduled battle slot, you’ll be unable to enter the cross-server battlefield Dragon Wilderness via the NPC. 2. When you enter the battlefield, you can be attacked by the opposing Factions’’ members, unless you are in Safe Zone. 3. When a Battle Starts, a server wide broadcast will go out. 4. During the battle, you can view both sides’ participants, kills, and deaths by clicking the flag icon to the left of the mini map. 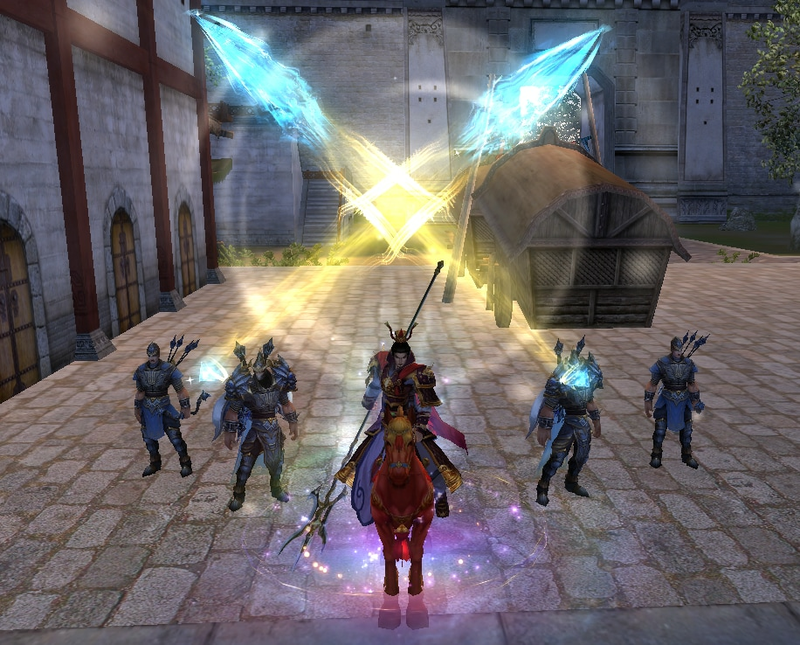 During the battle, if you are disconnected from the server, or you quit the game manually, you can re-enter Dragon Wilderness (Cross-server) after logging back in. A server wide broadcast announces the results. A countdown will start and all players will be removed and returned to their original servers in 180 seconds. The Factions can view the log of the battle in the Faction Battle Menu. When a battle ends, players can’t re-enter the battlefield again until their next schedule battle starts. 1. There are two safe zones – Sundown Town and Town of Arrivals. 2. If you use Town Portal or Teleport Incense in Dragon Wilds (cross-server), you will return to the nearest Safe Zone. 3. You can jump and fly, but can not trade. Gear will lose durability but nothing will be dropped upon death. There is no bank in Dragon Wilderness (Cross-server) so make sure to prepare accordingly! 4. Faction Signet and Squad Signets work in Dragon Wilderness. If you use a signet here, only characters in the same map can respond to it. 5. Twilight Temple and Gate of Delirium in Dragon Wilds (Cross-server) are unavailable. 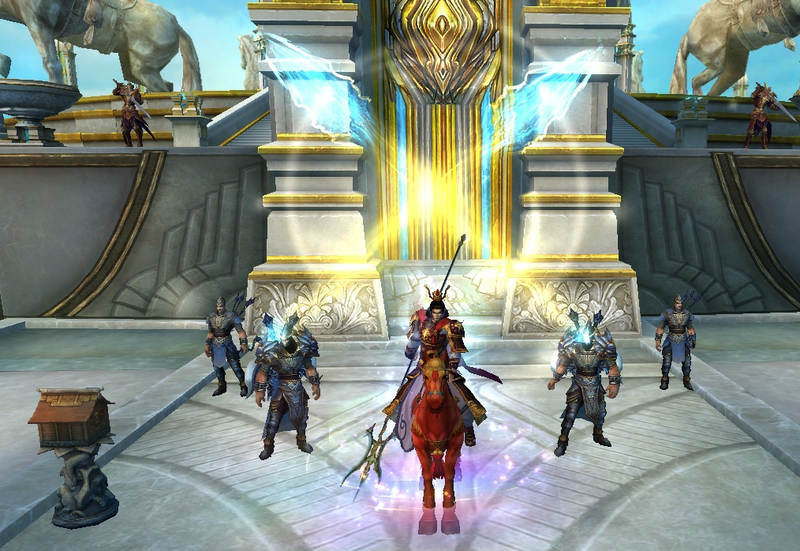 What are your thoughts on the new cross-server faction battle feature? Or, what features/changes have you seen so far that you’re most excited about? Let us know on our Official Forums! Procurez-vous des Lots de chance spéciaux contenant des Packs de chance et des Clés de chance en cadeau ! Promos de recharge et dépense à gogo ! Jetez un œil aux offres bonus de la prochaine promo de recharge ! En vedette : le Pack Jade pourpre !